WARSAW — Despite having made a favorable impression on prosecutors during his incarceration, an Elkhart County man was given a lengthy prison sentence for an armed robbery of a Warsaw tobacco store. 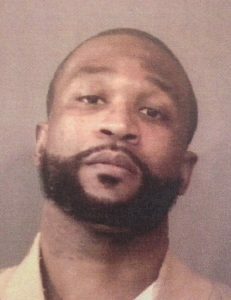 Johnathan Michael Evans, 34, 723 Blaine Ave., Elkhart, appeared in Kosciusko County court on Jan. 10 and pleaded guilty to robbery resulting in bodily injury, a level 3 felony. He appeared in Kosciusko County Superior Court 1 on Thursday, Feb. 7 for sentencing. Prosecutor Brad Voelz told the court that he found Evans to be polite, intelligent and respectful throughout the pre-sentence proceedings. But, he added, the victim of his crime needed some assurances. According to Warsaw police, Evans stole approximately $800 at gunpoint from Low Bob’s Discount Tobacco store in Warsaw on June 18, 2015. Evans was identified by surveillance video, mugshots from Elkhart County and through the identification of tattoos on his body. Evans’ attorney, Antony Garza, told Judge David Cates that he agreed with Voelz, but that his client had taken ownership of his actions. “Mr. Evans has taken responsibility, so hopefully that will give the victim some peace of mind,” Garza said. Cates ordered Evans to spend nine years behind bars with the Indiana Department of Corrections and gave him credit for 183 days already served.